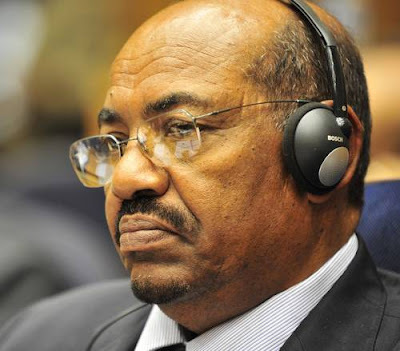 Johannesburg – South Africa will on Monday argue against a court application to force the government to arrest Sudanese President Omar al-Bashir who has been indicted by the International Criminal Court, the justice ministry said. Bashir, who is in South Africa attending an African Union summit, stands accused in an ICC arrest warrant of war crimes and crimes against humanity over atrocities committed in the Darfur conflict. Judge Hans Fabricius on Sunday barred Bashir from leaving South Africa until he had made a decision on an application by a human rights group calling for Bashir’s arrest. The judge’s hearing resumed on Monday but was adjourned for an hour so the court could study documents submitted by the state. State advocate, William Mokhari, said “to the best of our knowledge” Bashir remained in South Africa. He, however, said five ports of exit had yet to confirm they had received an order not to allow the Sudanese leader to leave. Caroline James, the lawyer for rights group the Southern African Litigation Centre, said she believed there was a “real risk” Bashir would soon leave the country and the application for his arrest would become “mute”. South Africa’s government has challenged the court’s decision because it has given immunity to Bashir and all other delegates attending the AU summit. “We will meticulously argue for the application to be dismissed,” Mthunzi Mhaga, spokesman for the justice ministry, told local television station. Sudan officials have said the court order had “no value” because Bashir was invited by the South African government and said the president would leave on Monday. “President Bashir is still in Johannesburg but we are leaving South Africa today,” Mohamed Hatem, Sudanese Presidency spokesperson, said. The United Nations says conflict in Darfur has killed as many as 300,000 people and displaced two million.